This angel is holding shape carved roses. It can be used as a double or single monument. 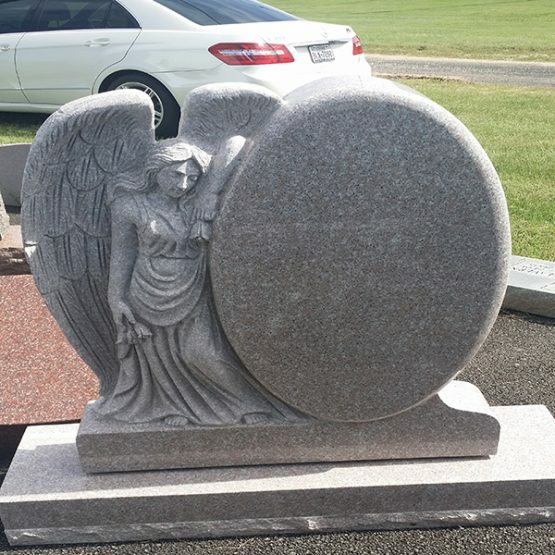 It is available in any color of granite, and can be customized as you see fit.